If you’re looking for the best NCLEX study materials then you’ve come to the right place! Choosing the right NCLEX study materials could be one of the most important decisions you make on your path to becoming a nurse. You will be spending many hours studying, so it’s crucial to find the right NCLEX prep course that best fits your learning style and background. So here’s the good news – we have researched and reviewed all the NCLEX study materials below so you don’t have to! 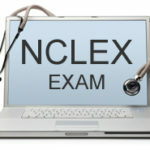 Prepare for your NCLEX test with these comprehensive online programs. Several of the NCLEX programs listed below offer detailed study guides along with practice questions and video lectures in order to help you get ready for the big test. The best part of these programs is they can be used on your schedule: no early morning lectures! 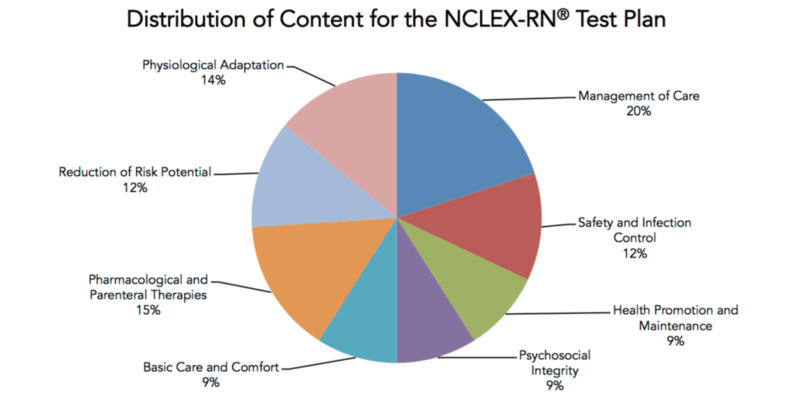 Adaptive Learning Technology: The competition has nothing on the Brilliant Nurse NCLEX who’s NCLEX Study Material platform adjusts to your weaknesses automatically. This adaptive learning tool will save you time and ensure you on your first try! 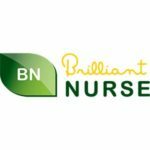 Pass Guarantee: Brilliant Nurse is so confident about their platform they offer a pass guarantee . If you fail, you’re subscription will will continue free of charge with no hassle. Lessons: This course has some of the most comprehensive NCLEX lessons and review materials on the market. There are more than 3,500 on practice questions, rationales and more. Study On Your Time: This course has one of the best mobile platforms we’ve seen among any course. This gives you the ability to study on your own time and quite literally anywhere. Full 12 Months Of Access: The competition in the NCLEX space has limited periods and some even require monthly payments, GraduateX gives you access to its course for 1 year. This should allow you all the time you need to pass the test and some extra just in case. Best NCLEX Study Material Price: The Graduate X NCLEX review course is the best value you’ll find in NCLEX test prep. Rest assured even if you don’t take our word for it theirs a 30 day money back guarantee. Support: For most learners having a group setting where you can ask questions makes everything easier. GraduateX through online forums allow you to ask the questions and get the feedback you need to succeed. Focused On What Matters: This course has no over the top frills or extra bells and whistles. It’s based on the idea of community learning, so there’s not a whole lot of support options either. Full 12 Months Of Access: While you don’t actually have to pick 12 months, we definitely think you should. You’ll want the extra time to make sure you aren’t rushed. Even if you want just want to save some cash they have less expensive options for as little as 1 month. The 1 month is a great way to get acquainted with the Crush NCLEX platform without committing long term. 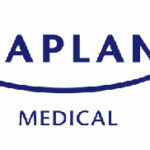 Phone Friendly: Kaplan by far has the best tech available today. Easy access to studying some of the NCLEX-RN questions from your iPhone or iPad is a great perk for any busy nursing students. The mobile NCLEX-RN Mini Qbank includes over 180 test-like questions, allows you to create practice exams, and includes detailed explanations for the correct answers. 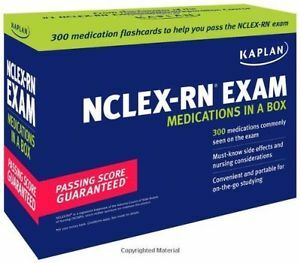 Question Bank: Kaplan offers a comprehensive NCLEX question bank with over 3,000+ practice NCLEX-RN questions and over 1,000 NCLEX-PN questions. If you don’t have the cash to buy a full course, you can opt for month-to-month access to the question bank or purchase the NCLEX-RN® Content Review Guide ebook separately. 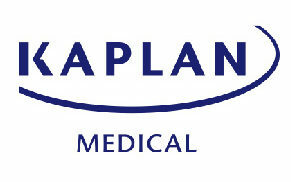 Guarantee: Kaplan offers a money back guarantee for their NCLEX Study Materials. Qualified candidates will receive a 100% tuition refund or a free 90 day continuation of their prep course enrollment as long as they meet all eligibility criteria. 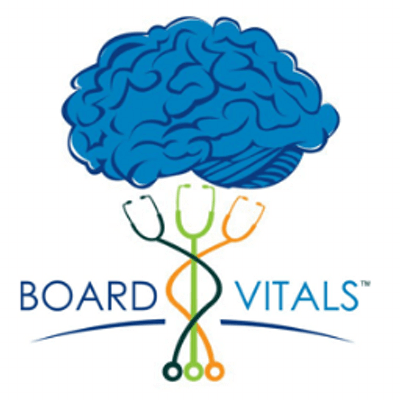 Pass Guarantee: Board Vitals includes both a FREE trias and a pass guarantee making this course a no brainer. Even if you don’t like it you can always easily your money back with no hoops to jump through. Better yet there are also free practice questions on their Blog to get your started. You’ll want to find the best NCLEX course for the money. Picking the wrong course could mean failure. That’s why you need to use an NCLEX promo code that will give you a discount and help you save your hard earned cash. By using some of the best NCLEX promo codes we have, you can save money and time while getting the best possible score. The National Council Licensure Examination (NCLEX) isn’t easy, but finding the best deal on a prep course is. We’ve done the research for you! You don’t have to scour the web looking for the biggest savings, just start here. You’ll find all the NCLEX coupons and savings you need to get started today. We even have our exclusive Kaplan NCLEX promo code, Brilliant Nurse promo codes and much more! We know that endowing you with the confidence that you can succeed is one important aspect of passing the NCLEX. This is why we’ve put together this comprehensive list of resources to help you better prepare for the NCLEX-RN. Knowledge is power, and these are some of the most powerful sources of knowledge when it comes to preparing for nursing exams. Read through the list below and don’t forget to tell us what your favorites are in the comments! If your NCLEX test is fast approaching, you don’t want to be stuck poring over long, dog-eared textbooks. Figure out what’s most important and what you should be spending your precious study time on with these focused NCLEX-RN study guides. This is one of the most comprehensive review guides available for purchase. Ten critical thinking strategies are outlined over eight chapters, and several practice questions are included to test your nursing knowledge. This review guide is perfect for people looking for an all-in-one resource for the NCLEX-RN exam. For students looking to focus their studies on one particular section of their nursing exam, Kaplan’s guide on 300 different medications is an excellent choice. Pages are designed in the form of flashcards and describe the different families, side effects, and medical applications of each drug. With a focus on critical reasoning over practice tests, this Kaplan nursing exam guide is an excellent companion to standard guides. It incorporates NCLEX’s Client Need information and is designed around cognitive strategies to help you understand what is required in a nursing career, which then translates into effectiveness taking the exam. 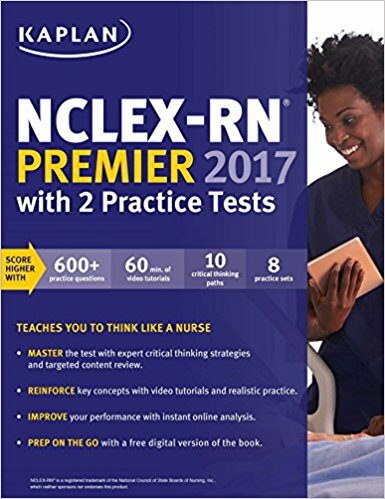 This test guide is divided into specific aspects of the NCLEX-PN exam, making it perfect for studying nurses who need to focus on specific aspects of the test. In addition to thorough reviews of each section coupled with practice tests, the Secrets Study Guide also comes with video tutorials. Written by a professional with over 15 years of experience, this is a quick guide that covers several elements of the NCLEX. It’s a light read with around 65 pages, which makes it an excellent introduction to the test as well as a jumping off point for further studying. You will still want to use other study resources in conjunction with this book. This study guide for the NCLEX-PN has a great deal of content for a very reasonable price. It contains 17 chapters covering different subjects and aspects of the nursing exam, all with practice tests at the very end. You can save some money buying them used, but getting a new copy adds the benefit of bonus online study materials. One nice feature of this study guide that sets it apart from many others is the way it handles incorrect answers. Rationale for answering questions incorrectly is addressed and tips are given to help you avoid falling into these traps. Extra practice questions can be accessed with the companion online material included in this product. In conjunction with study guides, answering practice questions are a terrific way to prepare yourself for any difficult exam. The NCLEX is no exception, and using these sources for practice questions that are identical to ones on the exam will help you become more comfortable with the entire process. Best for helping acclimate you to the formatting and some of the subject matter of the NCLEX-RN, GraduateX’s free online practice questions are a terrific study tool. Jumping right into these questions is a terrific way to adjust mentally to the pressure of the real thing, although you may still want to supplement this with other study resources. This practice test service does come with a price tag, unlike some of the other practice tests available to nursing exam students, but it’s still well worth the price. In addition to having over 3,000 questions, BoardVitals also implements computer adaptive technology to ensure that your entire test experience is challenging and educational. While studying practice questions can help you adjust to the test format, they aren’t always the best at ensuring you actually understand the material you are being tested on. That’s where this set of alternate-format questions comes in! These questions are set up in radically different styles, ensuring you understand the information needed and not just how to answer multiple-choice questions. For those times when you’re finding the review guide a little repetitive, you may want to switch things up with a different kind of study tool. Late night dates with a 300-page textbook and a never-ending supply of coffee are a familiar encounter for many nurses. Burnout is highly likely in these scenarios, so it helps to have some other methods of studying in order to shake things up. If you’re serious about cracking the exam, you put yourself at a serious disadvantage by not working with flashcards. This set of flashcards by Kaplan is perfect for tactile learners who want something interactive to study with. They are organized by different categories with color coding, making it easy to study different aspects at a time. 300 cards are contained in this package of physical flashcards. What’s interesting about these cards is that they are more expensive to purchase digitally than physically. This may have something to do with the added convenience of digital media, but for those who are more suited to physical learning, this is a terrific deal! Having a solid plan is the key to success, whether you are approaching an exam or a real-world scenario. Because of this, it is incredibly important to understand the test you are about to take and formulate a plan around it. The more you know and learn about the NCLEX’s structure, the more confident and better prepared you’ll be when it’s time to take the exam. These details on the tests and plans for preparing are a must-read. Even if you’ve studied for months on end and made your way through nursing school, you may still feel completely lost before taking the NCLEX. This guide made by nursing officials on the State Board is designed to ease you through the process of preparing for the exam, right up to the big day. If you’ve put down the money for an online course or a girthy textbook, you still have to actually use them. This study plan is designed to help you make the most of your time with these materials, helping you figure out a 56-hour study schedule. Use this free PDF guide as a companion to your other study materials to maximize your mileage with them. This guide provides you with a three month plan for taking the NCLEX, based on nursing school curriculum strategies. It has tips for studying three months before, a few weeks before, a few days before, and even some advice for what to do during the exam. However, the right app can be an excellent tool to help you study throughout the day. Whether you are using an iPhone or Android device, there are quality apps you can use during some downtime in order to reinforce your knowledge of key exam materialHere is a list of the best NCLEX-RN apps to help you prepare yourself for the test. Accessible from the Amazon App Store, this free set of flashcards can be accessed on your Android smartphone. This app was designed by professionals at the NCSBN, meaning it was created by individuals who have experience with the exam and have passed it. For an effective mobile study tool, look no further. This free app from Kaplan will run on any iOS device, such as the iPhone or iPad. It offers a digital tutor mode or a practice test mode, and covers all of the material on the NCLEX-RN. This app works terrifically as a study tool in conjunction with other Kaplan studying resources. If you have an iPhone and spend a lot of time commuting, this review questions app from Saunders can help you brush up on your nursing knowledge. It includes several word problems based on real-life situations to help you evaluate how you would perform as an actual practicing nurse. The highly adaptable nature of this iOS study app makes it ideal for anyone and everyone looking to take the NCLEX-RN. Tools are implemented that allow you to determine your strong and weak points, and you can use that data to create custom tests that will help to improve on your shortcomings. Another highly customizable quiz app for the iPhone, the ATI Mentor app allows you to set up quizzes as big as you like, covering whatever subjects you choose. The flexible nature of this app makes it convenient to use whenever you have free time and will allow you to focus on the most important subjects easily. This Android app is more of a small textbook than a quiz program, although it does feature some practice questions. Notes are divided in different sections which can be accessed quickly through a table of contents. Over 2,500 notes are listed in this app, providing an encyclopedic level of NCLEX-RN knowledge! There are a lot of great flashcard apps for iOS, but it can be much harder to find quality ones on Android. Fortunately, this Google Play app is a reputable study source with over 2000 digital flashcards and an average rating of 4 stars. While many practice tests are designed to accustom you to the NCLEX-RN’s structure and provide some potential questions, this practice test app is designed to help you understand the material on the test. It features customizable learning plans and is available on both Android and iOS. This is far and away the best online study program for the NCLEX-RN. In addition to a plethora of learning materials geared to maximize your chances of success, they also tout an exam pass guarantee. This guarantee offers you either an additional three months of enrollment or a full refund: your choice. This is a more laid-back nursing exam prep course than Kaplan with a focus on learning at your own pace. The material has been exhaustively thought out with a solid rationale that directly correlates to NCLEX-PN material. In addition to 2,500 practice questions, GraduateX’s test prep program also features visual aides to help you understand the concepts relating to nursing. The Hurst review course involves three different learning methods. The first is a three-day lecture that covers 20 aspects of the exam at an accelerated pace. The second method is their online Q Review platform, which incorporates eBooks and specialized lectures, available for nine months. The third aspect is a customizable quiz program with 1,000 questions. This NCLEX review course offers a virtual coach to help guide you through the entire nursing exam preparation process. They claim that their students’ rate of success is 100% if they follow the tutelage of the virtual coach exactly. This is a free alternative to the more expensive premium online test prep resources. It’s a series of practice tests that are ideal for students who have a limited budget but still want study materials that are worth the time and effort. What could possible be a better study tool than the one designed by the people who help design the NCLEX? The State Board offers several online study tools on their website that provide excellent preparation for the nursing exam, stabletraight from the horse’s mouth. Standardized tests like the NCLEX exam may be a bit frustrating, yet are still a necessary rite of passage into the nursing profession. Just because the tests have strict formats, that doesn’t necessarily mean the best success strategy to stick to strict test prep formats. If flash cards and practice questions are starting to wear you down, try thinking outside the box with some of these alternative test prep strategies. Mnemonics are a terrific memorization tool that teaches you to associate acronyms and phrases with key concepts. This book incorporates mnemonic learning strategies to cover complex nursing concepts with the intent of reinforcing your memory of them. Although it’s designed for nursing school and not the NCLEX, it can help you remember things you were taught in nursing school and carry them over into the exam. This companion article to a popular NCLEX study app offers some insightful strategies to help you make the most of your study time. Trying some of the methods listed in this article can keep things fresh so you don’t burn out while studying for weeks or months before the exam. This quick guide from the Ameritech College of Healthcare covers some quick tips for making the most of your study sessions. The eight steps outlined in this article should help you approach each question, understand it, and answer it, all within a reasonable amount of time. Preparing yourself thoroughly is the best way to quell your pre-test jitters. Participate in the NCLEX webinars listed below and get an opportunity to interact and ask questions with live instructors. Check out the pre-recorded webinar sessions if you’re not able to take part in live sessions and you can feel a lot more confident and prepared for whatever the nursing exam has to throw at you. This free online course incorporates several video lectures, broken up with some practice tests. It’s designed for you to progress through specific sections, only moving on when you’ve locked down the information contained within. This is perfect for students on a budget who learn best through lectures. This program has a flexible price point depending on what areas of the exam you want to cover. If you’re struggling with a few key concepts on the NCLEX, this is an excellent way to save some money on an online seminar. The NRSNG On-Demand Webinars start every 15 minutes. 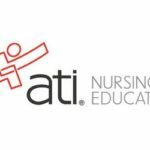 They involve a video lecture breaking down 11 key points to consider when taking nursing exams, and they guarantee these tips will help you pass any exam required to be a nurse. ATI offers a live webinar to accompany their free and premium testing materials. For those students who need contact with a live professor but don’t have the time or transportation, this can fulfill that need. The webinars offered by Wolters Kluwer vary depending on the season. They cover a wide range of subjects, but there’s always at least one touching on the nursing profession. You can find schedules for each lecture on their website. So you’ve studied for months and exam day is approaching. What’s the best course of action when you’re so close to the finish line? Aside from ensure you get a good night’s sleep, it’s always a good idea to cram in some last-minute studying. These cram sheets are designed to provide a quick rundown of key information you’ll be tested on when taking the NCLEX. This is a free 7 page printable PDF that can be used as a cram sheet for the exam. 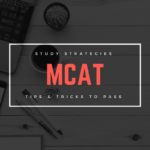 It covers all of the important points of the NCLEX, serving as a ‘greatest hits.’ If time is of the essence, you can do a whole lot worse than this study tool. This cram sheet is far shorter than the previous one on this list, only encompassing two pages. For nursing students with a short attention span and literal minutes before the test begins, this is a helpful resource for quickly reminding yourself about important concepts. This website has a few resources for you to implement in your last-minute study sessions. A few short videos can offer a refresher on pharmacology and cardiac diagnoses, and key terms and medicines are listed in bullet points. Don’t let the awkward formatting of this website turn you off; it’s still an effective tool. There are literally hundreds, if not thousands, of NCLEX study resources, all varying in price and effectiveness. 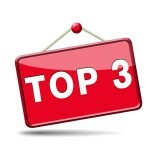 This list represents just a small collection of the best NCLEX resources available. Look around a little and you’re sure to find tons of more practice NCLEX questions and study guides. However, if you don’t want to spend the extra time researching study materials and just want to hit those books as soon as possible, we’ve done the work for you. Study for the NCLEX using these resources and prepare to be a great nurse. However, there is one important thing you should always remember: the NCLEX does not define you. Your merit as a nurse and as a person go far beyond what a simple test can tell anyone. I’ve known nurses who have failed the NCLEX multiple times and still go on to become fantastic nurses. If there was a single thing that could make the difference between passing and failing the NCLEX, it’s confidence. If you’ve got the perseverance to keep trying and studying, even after multiple failures, you’re going to make a great nurse. The NCLEX is just one final hoop you have to jump through. What are your favorite NCLEX question and study resources? Let us know in the comments, and thanks for reading! 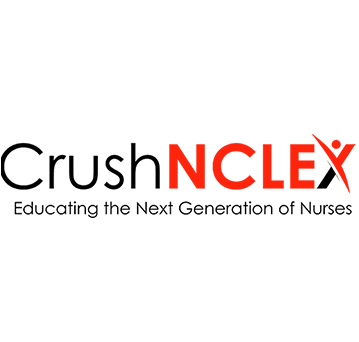 NCLEX-RN® and NCLEX-PN® are registered trademarks of the National Council of State Boards of Nursing, Inc (NCSBN®).None of the trademark holders are affiliated with Crush The USMLE.